March 27, 2013: We are excited to announce the overwhelming interest in our newly launched Heartfile’s eForum, (#HeartfileBlog). Featured on our blog are posts by eminent health experts and scholars including most recently Seth Berkley, CEO GAVI Alliance, Sir George Alleyne, previously United Nations Secretary-General’s special envoy and Mark Dybul, the Executive Director of the Global Fund for AIDS, TB and Malaria. March 19, 2013: Pakistanis are renowned for their zealous generosity and their charitable contributions towards humanitarian causes. Rana Allawala and Saeed Allawala, both friends of the Heartfile Leaders’ Network, hosted a fundraiser for Heartfile Health Financing in Karachi on March 3, 2013. Justice (R) Nasir Aslam Zahid was the chief guest at the event, and our President, Dr. Sania Nishtar was the keynote speaker. The event called on a selected gathering of Karachi’s eminent movers and shakers willing to lend support to Heartfile Health Financing, our social protection program, which protects the poorest of the poor from medical impoverishment. 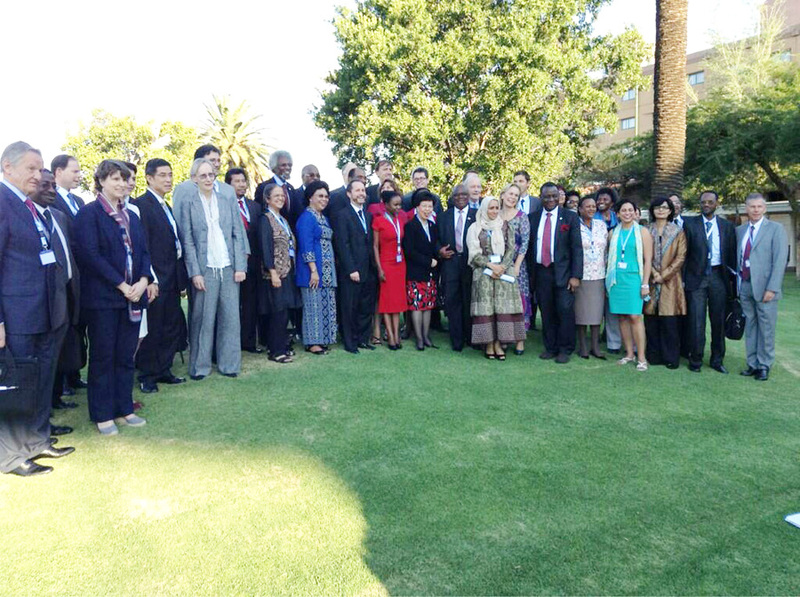 March 15, 2013: The High Level Dialogue on Health in the Post 2015 Development Agenda was hosted by the governments of Botswana and Sweden in collaboration with WHO and UNICEF on March 4-6 in Gabarone, Botswana. The convening culminated the six month long global thematic consultation on health in the post-2015 development agenda. Our president, Sania Nishtar was one of the 47 delegates invited to the High Level Dialogue on Health. Her views on the subject can be viewed here on the Heartfile blog.